Don’t panic! No real shaving cream was harmed in the making of this Shaving Cream Cocktail. It is actually whipped cream on top of a very manly scotch mixed drink which was inspired by a scene in the movie Guess Who’s Coming to Dinner. I am a bad host this month for Food ‘n Flix. 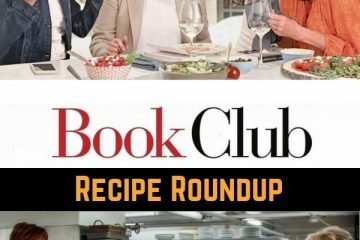 Life has been so busy I have to add my recipe post to the round for the February movie Guess Who’s Coming to Dinner. I bet you are wondering what inspired me in this film to create a Shaving Cream Cocktail! 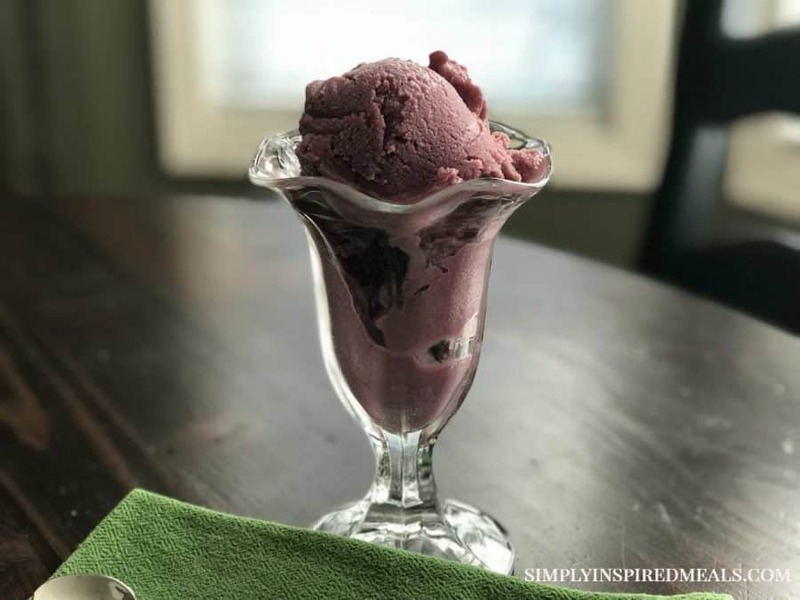 Read on to find out and enjoy the recipe roundup. Very little food was spotted in the film but there was a lot of food for thought! Lots of opinions and emotions came up. One participant even made me cry with her entry. Thanks to all who participated! 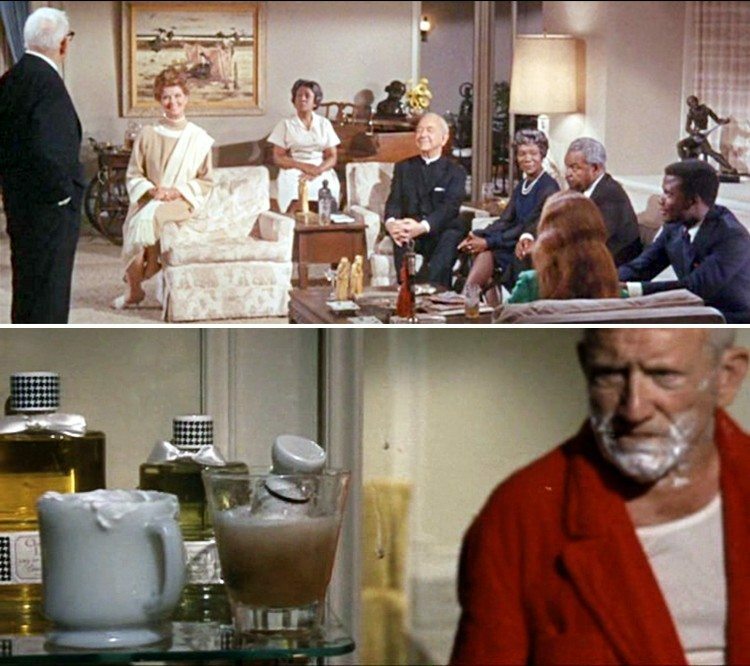 Guess Who’s Coming to Dinner is a 1967 comedy-drama film that was celebrated for depicting the first positive view of an interracial marriage. Joanna Drayton (Katharine Houghton) brings home her new fiancé, John Prentice (Sydney Poitier), to meet her liberal-minded parents (Spencer Tracy and Katharine Hepburn). Not only that but John’s parents are also invited, so the in-laws can meet. Needless to say, there will be a lot of interesting conversation during the cocktail hour before dinner. Will Joanna and John get their parents blessing by the end of the evening? Watch the film to find out! If you liked this movie or you are curious to see a loosely adapted modern version of it, I highly recommend you check out this year’s Oscar-nominated chilling movie “Get Out”. Apparently true love, love at first sight, can happen. But I do agree with a few of the others that if my 23 years older daughter brought home a man she met 10 days ago in Hawaii and she wanted her blessing RIGHT NOW or else, I would not be a happy camper. An older widowed man with a child no less! 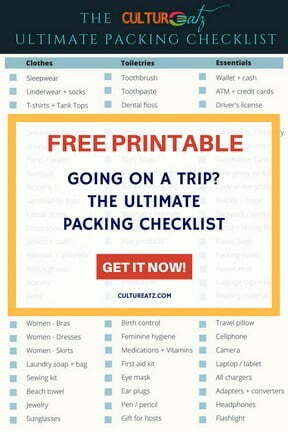 How about trying 2 months of living in really routine life first? That is the true test of a relationship: routine. I can sympathize with the parents in the film. But here is the added twist: she is white and he is black. It is 1967 and at this time 17 states still considered such a marriage as illegal (for realz people). Martin Luther King is still alive. Neither set of parents know this before meeting the couple. Everyone is a bit shocked, even the house help has probably one of the biggest racist reaction in the film. The priest funny enough is the coolest dude in the movie about the inter-racial fact. Part of the movie has not aged well but the inter-racial situation and having unaccepting family and friends is still a very real problem to this day. And that is very sad. My mom will be 85 soon and I have asked her many times to tell me stories of segregation and things she saw when they would travel down to Florida for a vacation. She actually remembers the colored only bathrooms, the water fountains, etc. One of my favorite stories is when my grandad wanted to give a tip to the black gas attendant. I think this was the 50s and he gave like 10 cents – which was a good tip at the time – and the guy was really reluctant at first to accept a generous tip from a white man. I was always saddened by this story, that this man was afraid of taking a tip because of skin color. And I was always so proud to realize how accepting my family was. I am not saying I am a perfect person when it comes to any form of racism. We all have a bit of prejudice even if we do not realize it. But I have dated men of various skin color and cultural background. None met my parents and I am not sure how the initial meeting would have gone but in the end, it would have been OK. Guess who is coming for dinner movie food sightings: sandwiches and coffee, steak fry, lettuce, beans, pie, mandarins, drive-in dinner, a gazillion ice cream flavors mentioned including boysenberry, geisha waitress in a Japanese restaurant, cocktails, scotch and soda, sherry, bourbon…lots of booze like they drink in the day. Oh yeah you all came here for a recipe, right? So I had the weirdest inspiration for this film and I created a Shaving Cream Cocktail. There is a scene where Spencer Tracy is shaving, the old fashion way, and is have an argument with his wife. The shaving cream loaded brush ends up accidentally in his drink from how upset he is. And boy do they drink in this film. Back then any excuse was good to pour a glass of hard liquor, straight up! 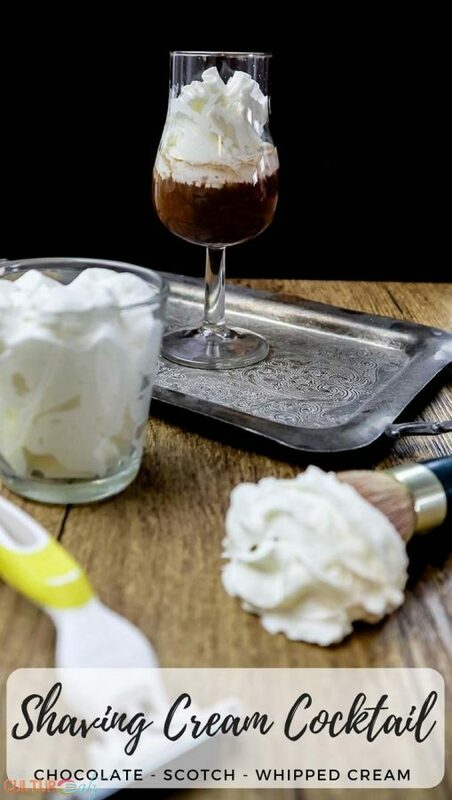 I made a strong and manly drink with scotch and brandy, added a touch of chocolate love for Sydney 😉 and topped it off with whipped cream to recreate the scene. 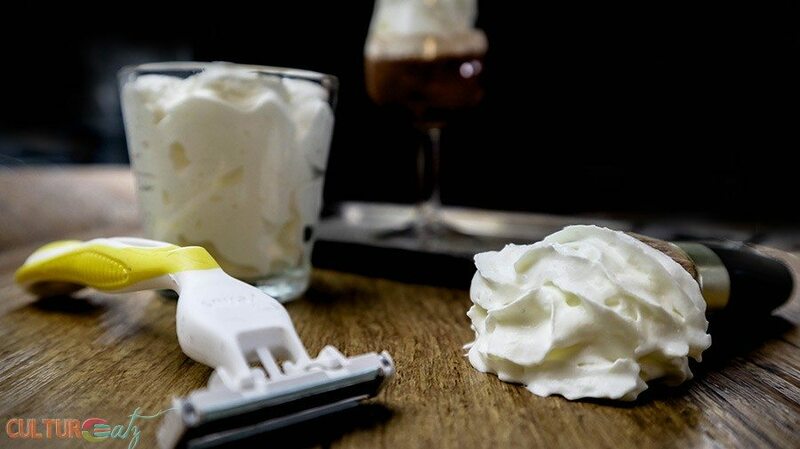 Voilà, a Shaving Cream Cocktail! Don't panic! No real shaving cream was harmed in the making of this Shaving Cream Cocktail. It is actually whipped cream on top of a very manly scotch mixed drink which was inspired by a scene in the movie Guess Who’s Coming to Dinner. Shake the first 3 ingredients in a shaker with ice. Pour into a snifter glass and garnish with whipped cream. Even with the lack of food, everyone who participated had mixed and strong feelings about this film. I achieved my goal of getting the discussion going in honor of Black History month for February. Some had a tough reaction to the subject matters broached in the movie. Please go visit everyone’s posts, it is really a fascinating series of posts to read. 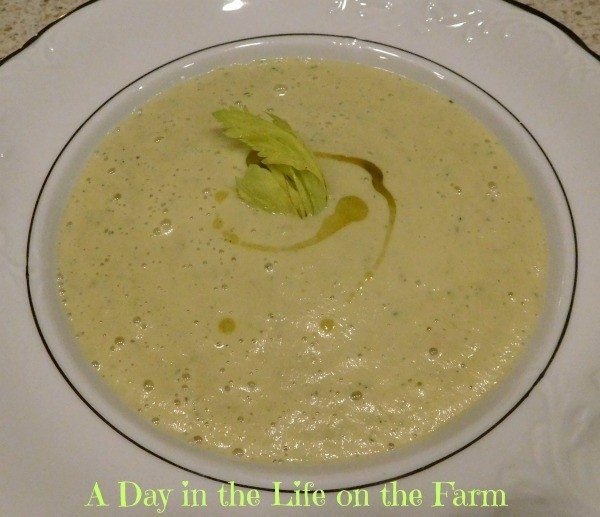 Wendy from A Day in the Life on the Farm got her soup on with a Celery Soup. I have sat down to write this post, I don’t know how many times. Each time I was moved to tears and had to stop writing. This film hit me square in the face with my own faults and shortcomings. 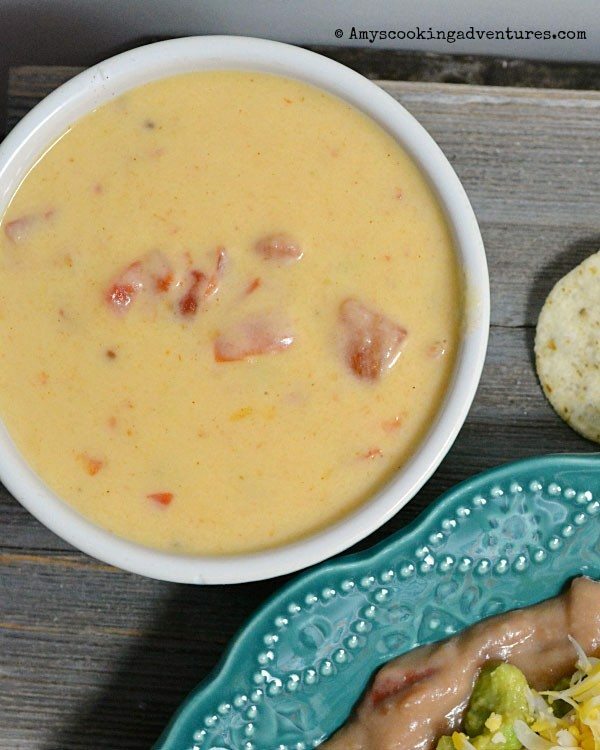 Amy from Amy’s Cooking Adventures created a yummy Homemade Queso. The real problem here is that the met only a week ago and plan to get married straight away and demand a blessing from their parents or they’ll be miserable forever! I mean, how selfish can you be? 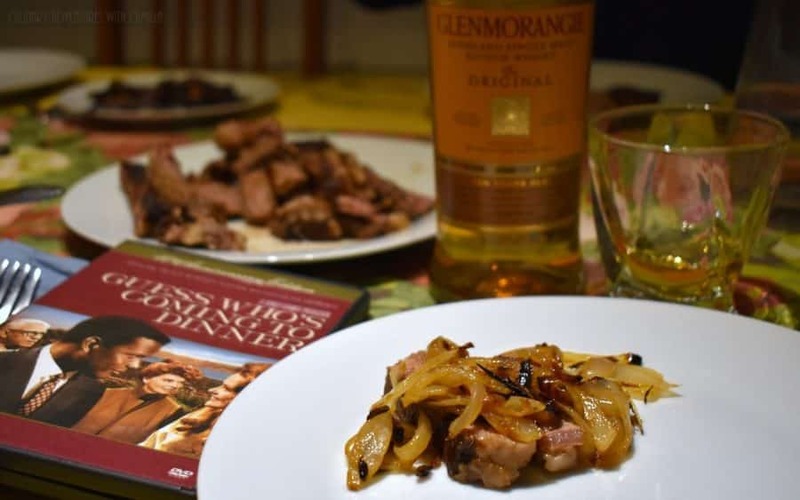 Camilla from Culinary Adventures with Camilla prepared delicious Rib-Eye Steaks and Single Malt Scotch. 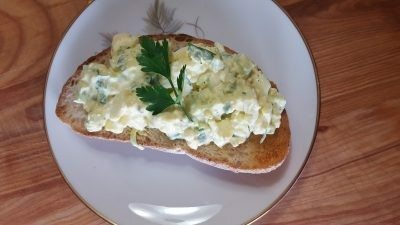 Debra from Eliot’s Eats offers us a wonderful Celery Soup and Egg Salad Sandwich. Have things really changed? While I have no doubt that this film caused quite the buzz and conversation in 1968, I can’t help but think the film served up a rosy view and quick denouement to the situation. Where are we now? I mean seriously…have you seen Get Out? So, I don’t have an answer. 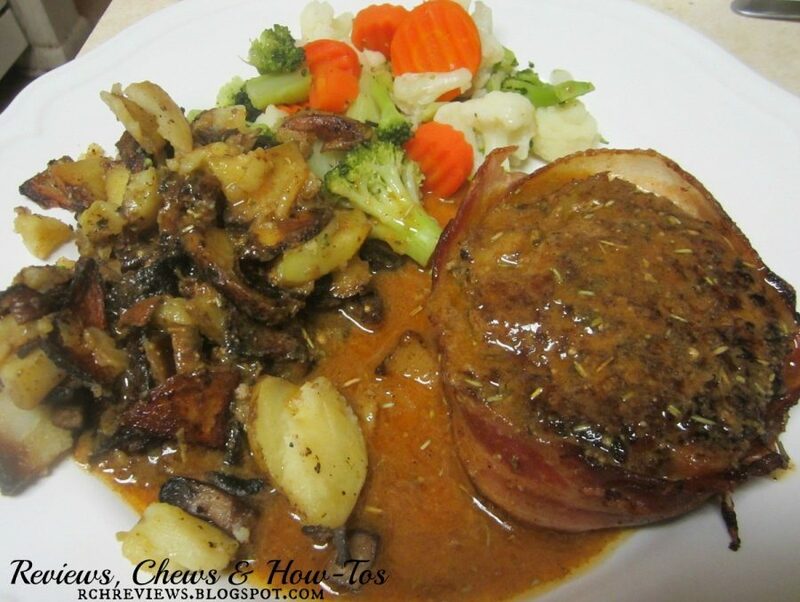 Lynda from RCHreviews went retro with 60s style Mock Tournedos. To put it into the context of its time, Loving vs. Virginia, the Supreme Court Case ending laws outlawing interracial marriage, was decided while this movie was in post-production, and it predated by several months the landmark Star Trek episode featuring the first interracial kiss on TV (deemed so controversial, it had to occur in the context of Kirk and Uhura being controlled against their will by a powerful entity). I must admit I was a little concerned it might be a “message” movie where they really hit you over the head with the message they are trying to get across. Instead, I found this to be a really entertaining movie, that yes, has a message, but delivered in a thoughtful way that I believe would make anyone see the point. And I put on my mixologist cap on with a Shaving Cream Cocktail. You are already on the right post with the Shaving Cream Cocktail recipe and my comments s above. 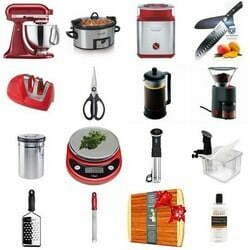 Want to have fun with us by watching a film and cooking? Join us next month at Food ‘n Flix with our host Sarah from Fix Me A Little Lunch with the movie Runaway Bride! I haven't seen the movie although I do know it's a great one! The cocktail is right up my alley! I am thinking of making it and enjoy it while watching the movie! This was such a fun read and I love the look of your shaving cream cocktail. My husband and I (who are believers of love at first sight) love this movie. Such a fun blast from the past with a modern spin in your article. Thank you so much Su for your kind words :-) I hope you give it a shot, and maybe a virgin version for the kids lol. Fun round. I think I enjoy the months were the feature is really not a foodie film and we all have to reach a little. I love this cocktail!!!!! I wondered if anyone would do a riff on that scene. Thanks for hosting! SO glad you liked this month Debra. I agree sometimes less food more story substance is very good :-) Leave it to me to do the weird scene recipe lol. I have not idea why people seem to think I would use REAL shaving cream, oh way, yeah, I do weird stuff lol. Thanks Lorraine! This is a great post, Evelyne! So confused though, had trouble finding your latest post and hope this is it! I love that movie! And I think I could drink scotch if it was topped with whipped cream! Errr....I mean shaving cream, LOL. 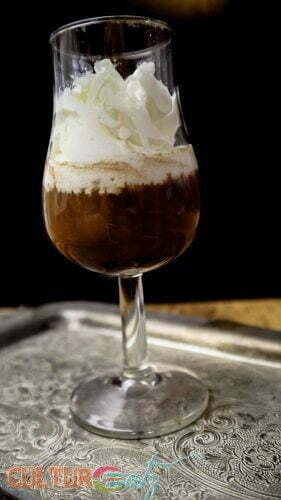 You might need to add whipped cream, I mean shaving cream, as you go, it's a strong drink lol. When I read the title I thought it really was a cocktail with shaving cream! This one sounds much more palatable. It's good to know that times have changed since the making of the film and hopefully everyone is much more open-minded these days. My trickery worked lol, no real shaving cream in sight! They have changed, but not enough. My mother was raised in Florida, and when we used to visit family there, I saw a lot of racism. One time, my great-grandmother refused to sit in the same pew at church with a colored person. I think that prejudice still exists to some degree with my relatives in Florida. They've expanded it to include the Cuban and Hispanic people who "have taken over the neighborhood" in their opinion. It is a constant battle to try to help them see how racist their comments are and beliefs are, but I do believe they are trying to change. People have to keep having these conversations and speaking up for what is right. Thank you for your amazing comment Tami. And yes it still exists, thankfully less and less. My Austrian dad who was born during WW2 would make comments about Jews and what not (not very terrible but still) and that was a result of his upbringing, like your great-grandmother. 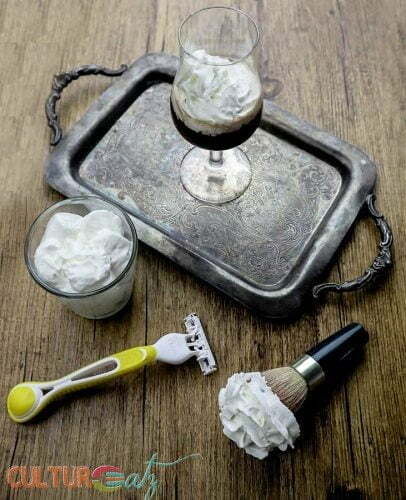 A shaving cream cocktail! How fun! It has been such a long time since I've seen that movie. Well, it is sad how things are going right now in this world, we are going through hard time indeed. Anyways, love how you scared me by the pictures at first :), I thought you actually used shaving cream in a recipe!! Hahaha sorry did not mean to scare you (yes I did). I don't know if we are going through harder times or just focusing the hate on various targets more. A wonderful post that gives all of us the opportunity to reflect on our way of thinking about race and racism. That cocktail sure sounds great. Maybe could the chocolate syrup be substituted for Godiva chocolate liquor? Thank you SYS...and thanks for reading the whole thing! Oh yea me likey Godiva liquor! Very creative and perfect inspiration, thanks for hosting this month. Thank you Kelley and so glad you participated! Must say I had never heard of the movie before this. The cocktail looks amazing and such great presentation. The food looks amazing and well presented. LOL trust me it,s all good in taste! This movie came out when I was in high school (a LONG TIME AGO) and I saw it then. Don't remember anything about it, really, other than the premise. So interesting to hear all about it again. Anyway, the cocktail if FUN! Good stuff -- thanks. 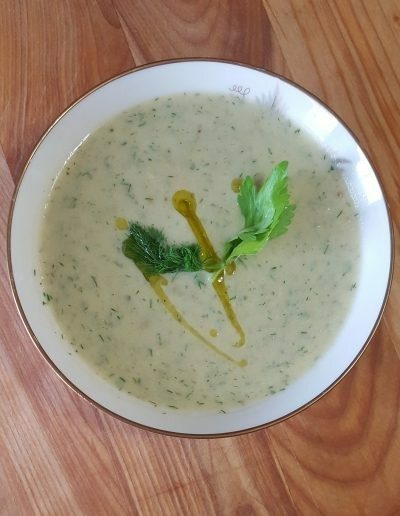 Love your photo setting...so fun and I bet it tastes wonderful too.